This outdoor fixture was photographed in the town of Leiden, Netherlands. This picture was sent in by GF. 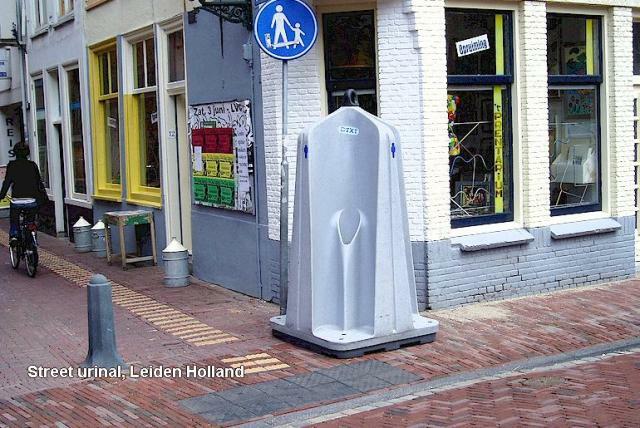 He writes: "Attached is a photo of a street urinal in Leiden, Netherlands taken in June of 2006. Must take some nerve to use it." Fixtures such as these are popular throughout the Netherlands.